The Bengals entered a hornet’s nest in New England on Sunday night, and they got stung over and over by maybe the best QB of all-time – Patriots signal caller Tom Brady. 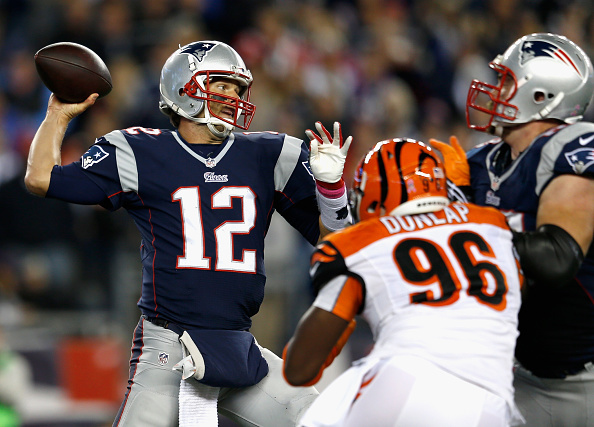 Brady and the Patriots made quick work of the Bengals, throwing for 292 yards as the Pats beat up the Bengals 43-17 for Cincinnati’s first loss of 2014. While Brady threw for two TD’s and Stevan Ridley gained 117 of the team’s 221 yards rushing yards, the Bengals were a step behind all night. The Pats led 20-3 at halftime before the Bengals cut the lead to 10 points on Andy Dalton’s 37-yard pass to Mohamed Sanu to make it 20-10, but that was the closest the Cats would get. It was a night of history for Brady, as he become the sixth quarterback to pass for 50,000 yards, and seemed like a QB on a mission after being beat up by the Chiefs last Monday night. Dalton was 15-for-24 for 204 yards and a pair of TD’s in the loss. The Bengals D had come into the game allowing an NFL low 11 points per contest. A.J. Green caught five passes for 81 yards and a TD in the loss. 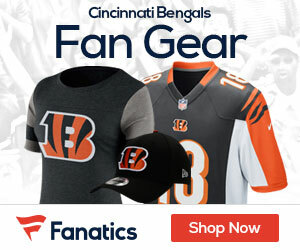 Despite the loss the Bengals are still 1/2 game up on the Ravens and Steelers for first in the AFC North. Sunday the Bengals host the 3-2 Panthers at Paul Brown Stadium.